Tonight Jesus invites us to “put out into the deep”, to take our journey to a deeper level – no t to remain in the superficial normality of life but dare to risk, fully trusting in the mystery of God’s call. But what actually is the risk in abandoning ourselves to Christ? What is the risk of obeying His call? Surely it is only a massive missed opportunity if we, for whatever reason, decide to remain in a superficial worldly reality rather than embrace the abundance Christ wishes to give us by responding to His call with a generous and grateful heart. In today’s Gospel Jesus teaches Simon Peter the miracle of obedience. Simon, having worked hard all night but having caught nothing, receives Jesus’s instruction to try again. Simon trusts his friend. There is little worldly logic in a carpenter teaching a fisherman how to fish, but we see here how the trust of one individual can bring about a huge abundance – a trust that faithfully sees beyond earthly boundaries embracing heavenly ones. 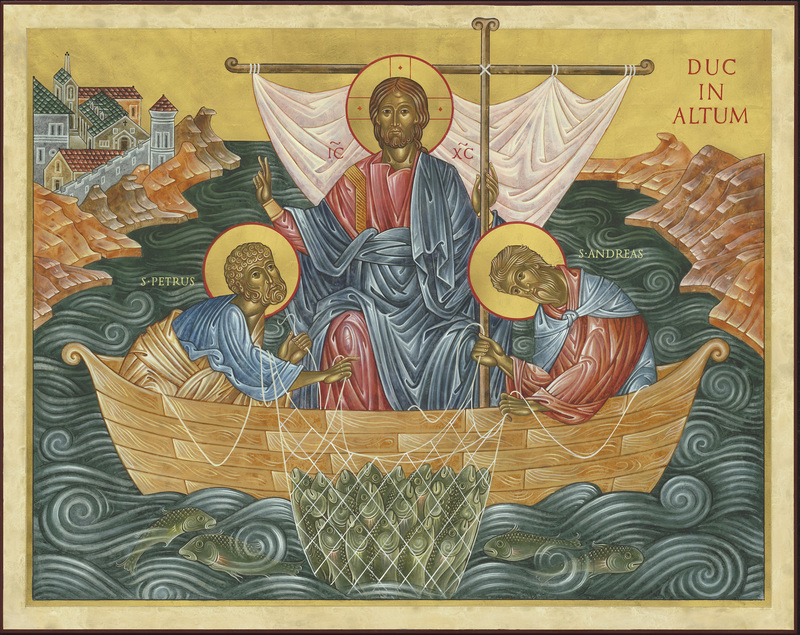 After the catch, Jesus says to Peter, “Do not be afraid; from now on you will fish for people.” Jesus knows Peter’s weakness and yet He trusts him, encourages him, consoles him and reassures him. God does not come to condemn us in our anxiety, our struggles, our perplexities – no, not even in our sin. No, thankfully Christ comes to heal us, to teach us and save us each and every time we fall so that we can get-up with Him and respond to His call anew. As we come into the presence of Christ now in the Blessed Sacrament we can thank God for His presence in our lives – healing, forgiving, encouraging and restoring us through His Grace and Mercy. May His Spirit forever give us the courage, in our human vulnerability, to respond with obedience and trust so that we may receive the abundance He has also prepared for us. We ask this through Christ our Lord. Amen.